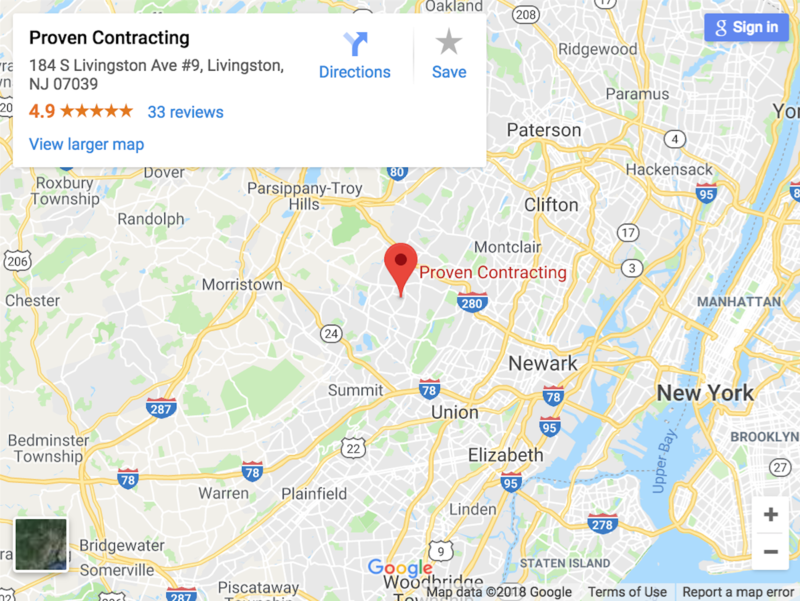 Proven Contracting has been proudly serving Livingston over the last five years. Both owners of the company live in the Livingston community and take great pride in serving the local surrounding areas. Our main office is located by 184 South Livingston Ave. We are open dusk till dawn 5 days of the week and provide roofing services throughout Northern NJ. High quality window installation could make a huge difference in your overall expenditure for electricity in your home. Energy consumption is an added expense that quickly adds up if not properly addressed early on. With the proper windows in your home, you can better manage your energy costs and ensure you don’t lose money each year. As contractors we have put a lot of energy and attention into making sure the materials we use for your home siding is of the utmost quality and lasts for years. We never cut corners when it comes to quality and our products and experience ensure your home is properly protected throughout the year. Choose Proven Contracting for your next siding contractor in Livingston.